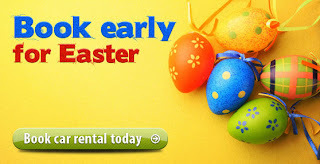 We have some amazing car hire offers for the Easter break for car hire in France. Book before the end of March 2012 for hire between 24th Feb 2012 and 31st March 2012 and get a FREE additional driver (excluding Corsica). CLICK HERE NOW to get a free online quote and find out more.